Content Management Systems turn hours of coding to change a cloud web page into a few minutes of work. That has made CMS systems into must-have for businesses looking to keep their in-house web development staff to a budget-friendly size. Here are world's Top Best Five CMS products that are widely supported and easy to install for IT managers. WordPress is one of the most well known CMS platforms. Based on the PHP system, a cloud server employing it must support PHP. The WordPress system uses MySQL as the backend, so while WordPress runs on an IIS system with PHP, it does not natively run on Microsoft’s database system. WordPress is free, has an automated installation system, and requires no configurations on the backend. Upload the files and run the installation, and the business has a CMS within minutes. WordPress has thousands of plugins, offering business owners the advantage of functionality with the bare minimal coding needed. Need a payment system or e-commerce solution with the CMS? Just download an e-commerce plugin from the WordPress dashboard. Although Joomla may not be as easy to use as WordPress, it is a preferred product for enterprise content systems that deliver articles and individual business pages. Like Wordpress, Joomla is also free, and it’s easily installed on a PHP and MySQL platform. WordPress is typically used for private or small-group blogging, but Joomla has more dashboard options, which makes it more dynamic for a business with needing more. For example, Joomla gives greater customizability of the menu, articles, and pages. The IT manager can link menus with pages, and the pages with other components in a way that supersedes Wordpress's user architecture. Joomla has a marketplace where developers sell plugins for customizations, payment systems, and add-ons to help the business get started without code customizations. WordPress plugins are typically free, but Joomla’s marketplace often has a small fee to download plug-ins. Drupal is not as widely used as Joomla or WordPress -- although that is not a comment on its sophistication. Rather, it is more advanced than the other platforms. Some companies offer a one-click installation found in the other two platforms, but the Drupal out-of-the-box solution requires the IT manager to have more understanding of the backend and PHP pages. Drupal does not have the large marketplace that Joomla and WordPress offer, but it has templates not included by the previous two CMS applications. Drupal has templates designed for e-commerce and cloud computing such as a contact form, a blogging platform, polls, a newsfeed and a taxonomy structure. The taxonomy structure lets e-commerce sites create a hierarchy for products, and site owners can swap out products to help manage marketing and push more popular products. TypePad is a smaller but still well known content management system used by smaller businesses. The TypePad software is not as robust as the previous three CRMs, but it’s a simple way to add content to a small business website. TypePad includes themes and a dashboard to upload content, and it includes a social networking feature. If the business has a lot of social media marketing, TypePad offers a way for social media managers to include the latest updates to the blog and to add the content to a Twitter or Facebook feed. One of the more recent upcoming E-Commerce CMS systems is Mambo. Mambo is centered on e-commerce, so the website owner can upload products and create content for each product. Mambo also includes site caching, which is a newer technique used to speed up site performance. Silverstripe is a PHP5-based CMS that separates the roles of content authors and CMS technical support. Coders can manage the site in a WYSWYG editor completely separate from the author component. This allows site owners to support the backend code while authors are still able to create content for the website. Silverstripe uses the Sapphire framework, so coders must be familiar with this framework before supporting the site effectively. Other open-source, upcoming CMS systems mainly for small and large businesses include Magento, OpenCart, osCommerce, and Zencart. These systems support product sales and allow a business owner to continually add useful content for readers to the website. 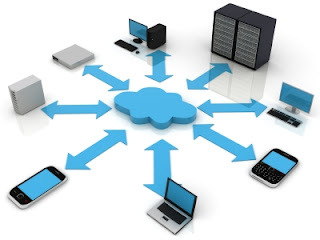 Before choosing from any of these solutions for your Cloud Computing Content Management Systems, make sure the website host supports the requisite technology and cloud web page service. The business must have the correct PHP version and MySQL set up. Install the software on a test site to ensure that it does not interfere with the current business solution, and ensure the content is ready to load after the installation completes. All of these solutions have plugins that allow the business owner or IT manager to transfer data and get started with the CMS within a few hours of installation.